R and R Painting NC LLC is proud to offer Deck Painting in Huntersville North Carolina. 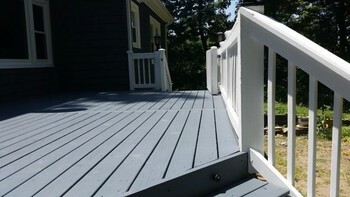 We also provide Deck Staining and Deck Restoration services in Huntersville NC. Your deck takes a beating from the elements. The Sun's UV rays destroy wood fibers and the heat, cold, and moisture causes all kinds of stress. On top of that, mildew, moss, and bugs will take up residence if allows. Protect your Huntersville NC deck with deck paint or stain. If you have ever tried painting your Huntersville NC deck, you know that its not an easy task. Deck Painting is both a skill and an art. That's why R and R Painting NC LLC's professional deck painters must have several years of experience painting decks in and around Huntersville NC. 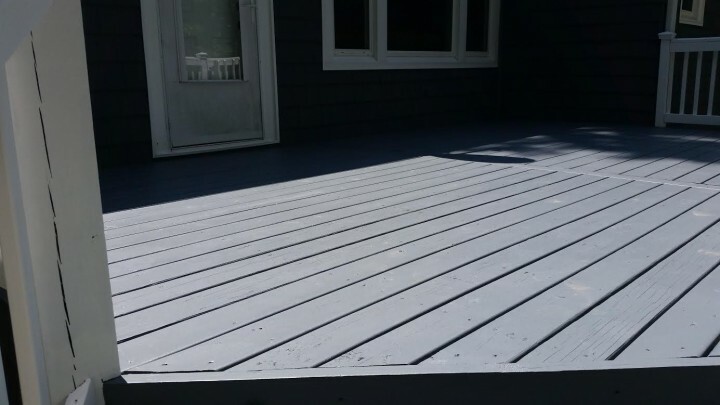 When it comes to high quality affordable staining, painting, and restoring decks in Huntersville, NC, R and R Painting NC LLC is the deck restoration contractor Huntersville residents trust.